Philippines' Supreme Court began a manual recount of 2016 vice presidential election votes on Monday. The recount comes two years after Ferdinand "Bongbong" Marcos Jr., son of former dictator Ferdinand Marcos, contested the outcome after losing to Leni Robredo by more than 260,000 votes. Robredo reassured her supporters that they have nothing to be afraid of as the recount begins. [post_ads]"This is perhaps my message to our supporters and our friends who are here today, the same message our lawyers want to convey: We have nothing to fear. Have no fear for we are fighting for the truth," Robredo said in a six-minute speech. Supports of Marcos are also gearing up for the recount. "We are very optimistic because we have waited for two years," Marcos' legal counsel Vic Rodriguez said. "We have endured two years of waiting due to Robredo's habitual and intentional moves to delay the election protest and deliberate attempts to bury the truth." 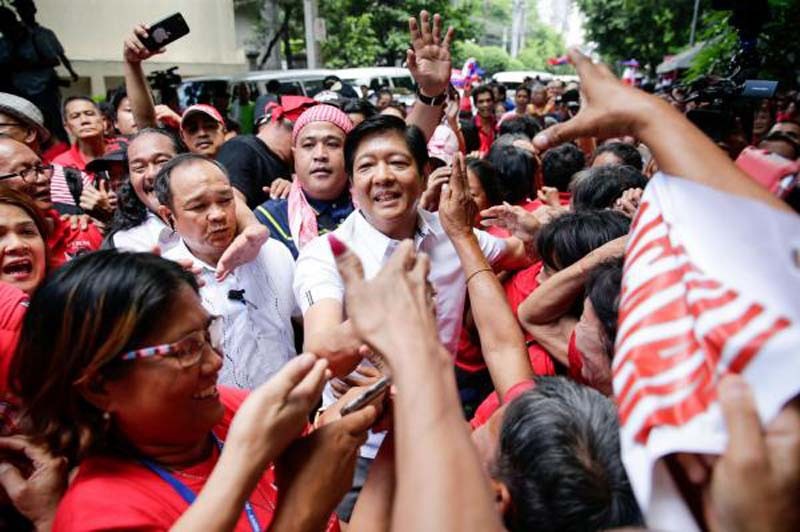 Marcos is hoping to recount ballots from 36,465 clustered precincts and also nullify votes in Basilan, Lanao del Sur, and Maguindanao. Meanwhile, Robredo has filed a counter-protest, which seeks to recount ballots from 30,000 polling precincts in various provinces where Marcos won. The recount will take place at a gymnasium in the Supreme Court compound in Manila and will be closed to the media. Over 200 personnel are expected to come in per day during the recount, including 60 employees of the tribunal, psychometricians, lawyers, representatives of both parties and the revisers. Marcos' family was ousted in the 1986 People's Power Revolution. Ferdinand Marcos Jr.'s father's government is believed to have killed some 3,000 political opponents, tortured up to 100,000 others and stolen an estimated $10 billion from the country. He died in 1989.